Apple makes some of the best gadgets in the world. But when it gets something wrong, the company has a tendency to spin the mistake as a “feature” or tell aggrieved parties they are wrong. Apple founder Steve Jobs iRead: 7 Books About Steve Jobs All Apple Fans Should Own iRead: 7 Books About Steve Jobs All Apple Fans Should Own We have selected the best books written about Steve Jobs and Apple. These seven tomes provide all the information on Jobs you'll need to know, and a lot more besides. 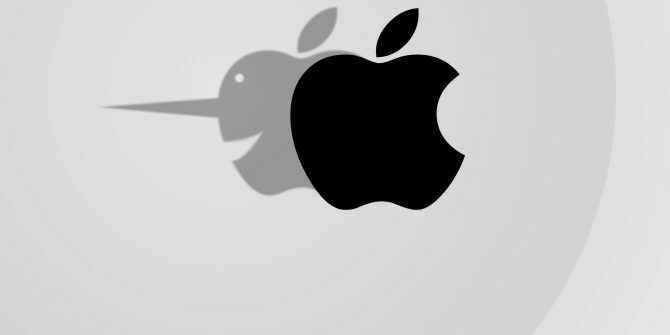 Read More employed the infamous “Reality Distortion Field” to good effect, making some people believe the cons. But not everyone took a bite out of the poisonous apple. With Jobs gone, people are now willing to be more critical of the company than ever before. So let’s look back at some such instances where Apple’s marketing team (and the fanboys) went into overdrive, defending the indefensible. The most recent controversy is that Apple slows down old iPhones Apple Slows Down Old iPhones: How to Check Yours, and Everything Else You Need to Know Apple Slows Down Old iPhones: How to Check Yours, and Everything Else You Need to Know Apple has finally confirmed what more and more people are thinking: It is deliberately slowing down the processors of older iPhones. Read on to find out the full story -- and whether you're affected. Read More once their batteries have deteriorated. The idea was to maintain battery performance, but Apple never informed users it was doing this. This could make people think they need to upgrade their iPhone, when a simple battery replacement could have done the trick. The worst part is Apple only confessed to this tactic once an independent user uncovered hard evidence, and the information went viral on the internet. And what was Apple’s response? They claimed it was a “feature” they released on older iPhones to save battery life. After much uproar, the company has finally backtracked and is offering to replace old batteries for cheap Apple Will Now Replace Your iPhone Battery for $29 Apple Will Now Replace Your iPhone Battery for $29 Apple ended 2017 offering a begrudging apology, and reducing the price of replacement iPhone batteries. Bringing Batterygate to a satisfying conclusion. 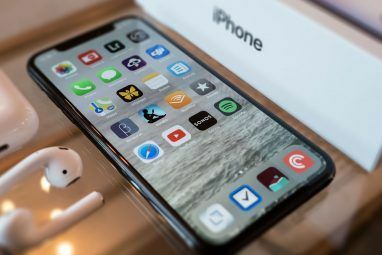 Read More , and will soon release an update that gives users full control over battery management Apple Lets Users Manage Their Own iPhone Batteries Apple Lets Users Manage Their Own iPhone Batteries Apple plans to let users decide for themselves how to manage their iPhone's battery usage. This is in response to Apple getting caught slowing down old iPhones... Read More . How’s that for a feature? The iPhone 4 showcased a completely new design for the smartphone, with an external antenna that wrapped around the phone as steel bands. It led to improved reception in most cases. But if you held the bands while talking, the reception would drop dramatically. And the company released a statement along the same lines, telling people not to grip it at the lower-left corner, or to use a bumper case. “You’re holding it wrong” ended up becoming a meme, and Urban Dictionary still defines it as a condescending cop-out to admitting a problem. Eventually, the company (and Jobs) said that they screwed up the design. Apple even offered free bumper cases to iPhone 4 users. And while the style remained the same on subsequent iPhones, you could hold it however you want and still get good reception 3 Ways You Can Improve Smartphone Reception 3 Ways You Can Improve Smartphone Reception Whenever I’m at my favourite pub (admittedly not often) or at my mother-in-law’s (sadly more often than I would like) I find that I have considerable trouble making a phone call. How can mobile phone... Read More . When it first launched in 2012, the Lightning port on the iPhone was revolutionary and an actual feature. It slimmed down the charging port dramatically. But since then, Apple hasn’t switched to the new USB Type-C port What Is USB Type-C? What Is USB Type-C? Ah, the USB plug. It is as ubiquitous now as it is notorious for never being able to be plugged in right the first time. Read More on iPhones and iPads, even after promising to move to a universal charging cable. 2009: Apple, Samsung, and other major phone manufacturers sign a memorandum of understanding to make phones that charge with the same cable. 2012: Apple launches its own Lightning port and cable on the iPhone 5, after being frustrated with USB-C’s slow development. 2014: USB-C finally launches, and slowly gains momentum. 2016: USB-C is the standard port on all major Android phones, but Apple continues with the Lightning port. At the same time, Apple removes the standard 3.5 mm headphone jack. 2017: Even Nintendo, who famously favour weird proprietary chargers on all previous consoles, move to USB-C with the release of the Switch Nintendo Switch Review: Play Zelda on the Toilet Nintendo Switch Review: Play Zelda on the Toilet Nintendo's back, reinventing themselves after the dismal performance of the Wii U. The Switch is a combination of home console performance in a portable package – the best bits of the Wii and DS brands. Read More . Apple’s initial frustration with the slow speed of USB-C is justified. But now, it seems unfriendly to consumers. USB-C is better than Lightning in almost every way for a regular user. Like Lightning, it can charge phones and be used for headphones. It even lets you connect the phone to TVs or other displays. This is why Apple has a single USB-C port on new MacBooks, ditching even standard USB, Mini-DisplayPort, or HDMI ports. It’s the one port to rule them all Should the New MacBook's Single Port Scare You Away? Should the New MacBook's Single Port Scare You Away? Apple recently revealed the new MacBook, and it's a jaw-dropper — but it also has only a single port. Was this a blunder, or a sign of the future? Read More , as far as the Mac is concerned. But it’s not good enough for the iPhone? Oh please. The ugly truth is that the Lightning port is an additional revenue stream for Apple, since third-party manufacturers pay Apple to make accessories that use the proprietary port. As for the argument that this would force iPhone users to ditch their existing Lightning accessories? The company already did that once before when switching to Lightning, and then removed the 3.5mm headphone jack No Stereo Jack, No Problem: Why the iPhone 7 Sounds Great No Stereo Jack, No Problem: Why the iPhone 7 Sounds Great It's official -- Apple has removed the standard 3.5mm headphone jack on the iPhone 7. But don't worry, this is a good thing. Read More , a much more universal port than Lightning ever was. Apple probably isn’t concerned about inconvenience of changing ports. 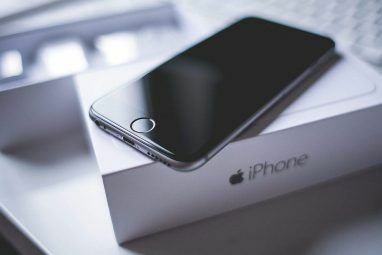 That statement came out during a court battle after the launch of the iPhone 3G, whose ads claimed “twice as fast, half the price.” As consumers would soon find out, that wasn’t the case. It wasn’t twice as fast, and it actually cost more than its predecessor. This video shows the kind of high-end accessories employed to take these photos, which general users would never have. While Apple is technically right that the pictures were taken on an iPhone, it’s still masking the truth. Like Apple says, you’re a fool if you believe tall marketing claims, but that doesn’t stop them coming out with more every year. It’s not the first time we’ve looked at Apple’s ability to distort common sense. 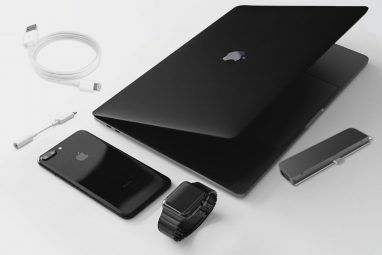 Remember all these technologies the company was credited with inventing Con Jobs: 5 Things Everyone Thinks Apple Invented (Wrongly) Con Jobs: 5 Things Everyone Thinks Apple Invented (Wrongly) You might be surprised: Apple didn't invent as many things as you think... Read More ? Explore more about: Apple, Battery Life. Is that a bit of furious froth dripping from your mouth? This article is sensationalist emotive crap mixed in with truths and half-truths. Actually, very enjoyable article. Anything that takes a bite out of the apple gets a gold star. Hey, don't look behind that curtain !!! This just in: P.R. pushes the boundaries of "truth." Stay tuned for scandalous new reports that water is wet. We don't have nearly enough articles like these that call out big tech for the farce they have become. This is part of the reason these companies have become so emboldened, so predatory toward their very customers. Fruitco Fanatics believe that Steve Jobs walked on water. Why wouldn't they believe these little misstatements? What a bunch of sensationalist nonsense. Mihir Patkar is clearly holding an Apple grudge. As he should. Apple may have a prettier facade, but is just as evil as Microsoft.